And now for something completely the same, another grey catfish that will never enter the trade. While the typical COTM article focuses on species available in the trade, this one focuses on one of those obscure species that is least likely to enter the trade anytime soon, Mystus dibrugarensis. Mystus dibrugarensis was originally described as Macrones montanus var. dibrugarensis from Dibrugarh, Assam, north east India (Brahmaputra drainage). This species was considered to be a synonym of M.montanus (a species described from southern India - Cauvery drainage) but has since been elevated to species level. I had the opportunity to procure a few fish from "extreme" north eastern India and thus began my tryst with this species. For starters, this seems like a "dwarfish" species much like M. carcio and behaves very much like the aforementioned species as well, not the typical crabby guise that one would expect from a bagrid. Secondly (and more delightfully), they do not seem to be completely nocturnal and spend a considerable portion of the day swimming in the open in what could perhaps be termed "loose schooling behaviour". I first witnessed this at a fellow hobbyist"s tank with around half a dozen specimens and it looked rather lovely. While this will reduce as the fish become more comfortable, there is still a considerable amount of interaction between specimens and this actually adds a great deal to the overall "character" of the tank. This behavior further piqued my interest in the species and I have already started looking out to expand the small group that I have. The M.dibrugarensis I have are presently kept with Hypselobarbus jerdoni, Tor khudree, Systomus banksi, Mystus bleekeri, Botia striata and a Pterocryptis sp. They do not seem to be overtly bothered by congeners (M. bleekeri) and equally importantly, they do not seem to bother smaller fish (Botia striata) either. Overall, M. dibrugarensis seems to be a species suited even for planted tanks in addition to regular community tanks. Feeding seems easy as is with most Mystus species. I feed a mix of Tetra Bits, earthworms, bloodworms, prawns and Hikari pellets and everything is consumed greedily. 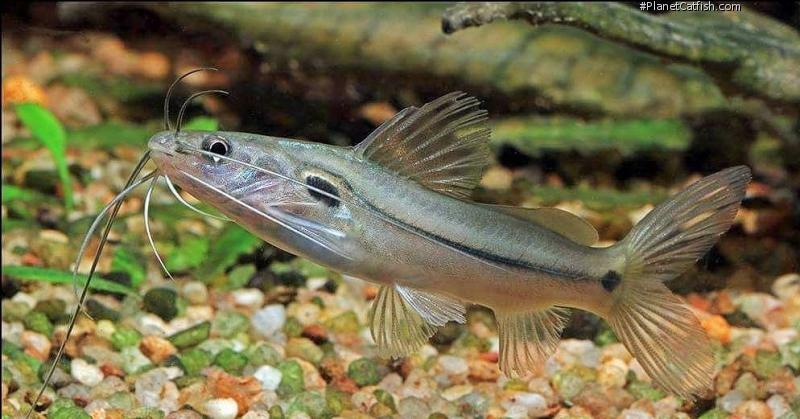 I know it seems like a great deal so far but here is THE deal breaker, this species has probably never entered the trade (even though other species from the region/river enter the trade fairly often). I will maybe post in the forum when I hear of these little "Hors d'oeuvre" fish being exported for the trade as a tip off for the fellow Asian fish fanatic. Etymology The generic name is probably derived from the Latin mystax, meaning moustache, in reference to the long barbels. It was first used by Scopoli in 1777 making it a very old genus that has included many catfishes from throughout the world at one time or another. This species is named after its type locality, Dibrugarh. Mystus dibrugarensis is regarded as a junior synonym of M. montanus in many accounts (e.g. Jayaram and Sanyal 2003; Ferraris 2007), the latter species is restricted to southern India (in the Cauvery River drainage) and differs from M. dibrugarensis in having a longer adipose-fin base and a more diffuse spot on the caudal peduncle. References Fishes from the Abor Expedition,Chaudhuri.